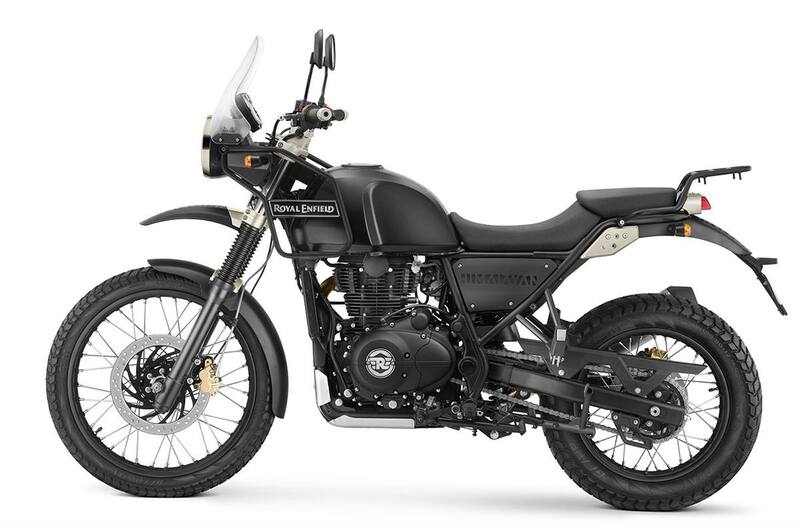 Royal Enfield’s most versatile motorcycle, able to take riders almost everywhere they want to go - on road or off-road. 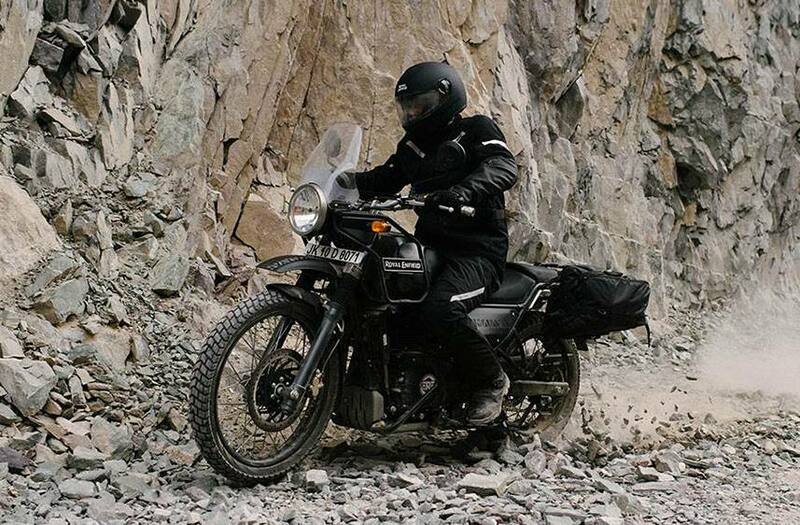 The only motorcycle you will ever need. 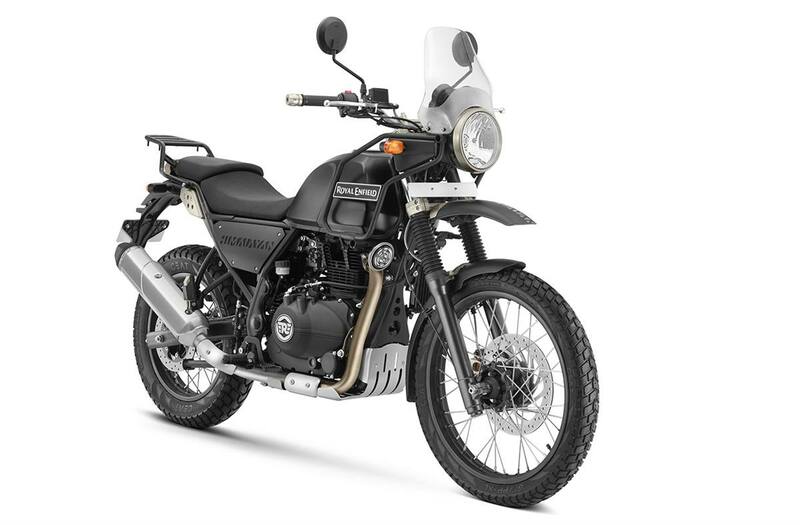 Chassis: The Himalayan features a half-duplex split cradle frame which is robotic welded for greater precision and strength. 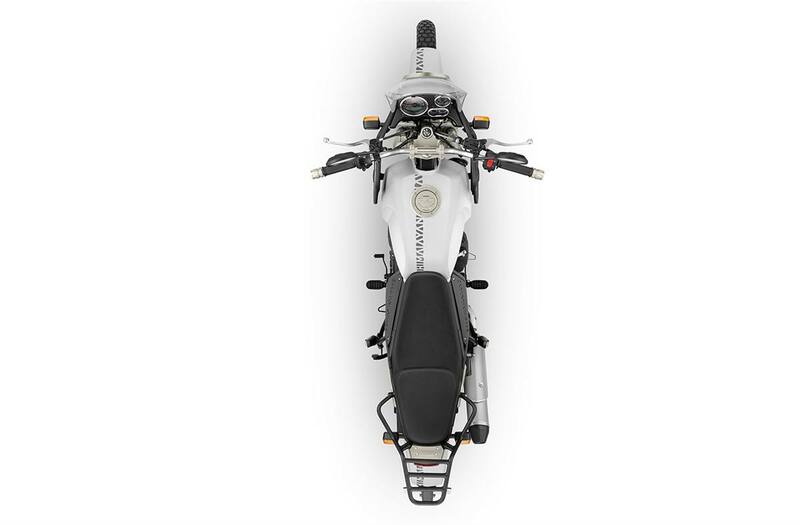 This advanced chassis is designed to keep the rider close to the motorcycle’s center for a connected feel and responsive handling in all riding conditions. 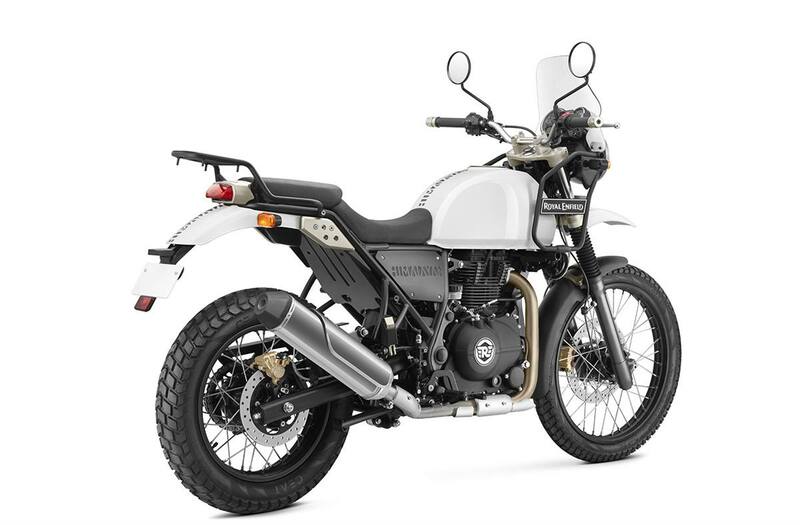 Suspension: For the first time Royal Enfield employs a monoshock suspension in the rear, the long travel of which keeps the tires of the Himalayan in contact with the road at all times and delivers a smooth ride regardless of terrain. 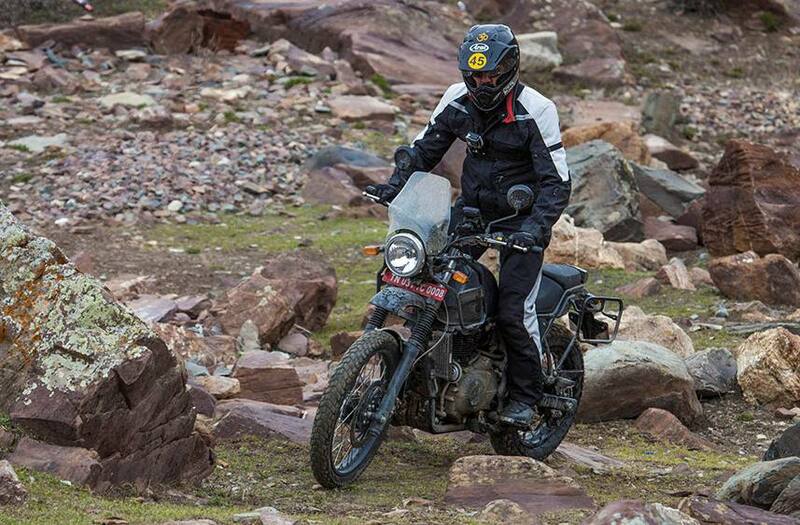 Ground Clearance: A 9in of ground clearance means crossing deeper rivers, going over bigger rocks, traversing further and finding that special place off the map. 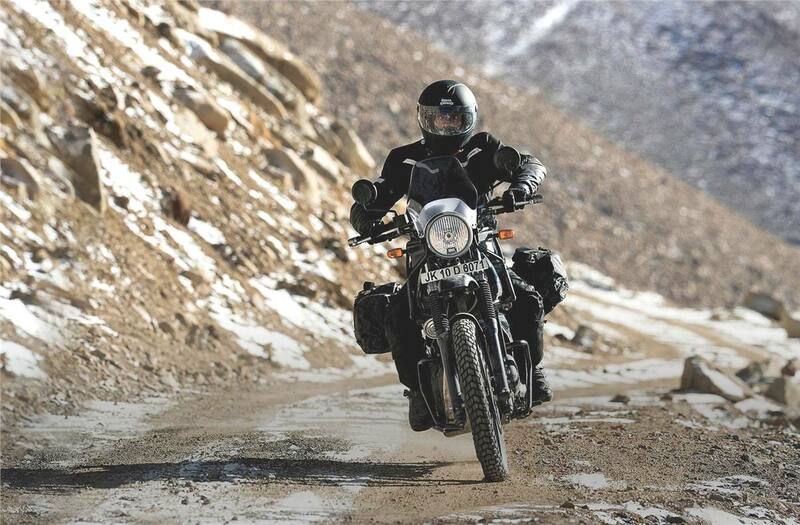 Wheels & tires: A tread pattern that works across terrains to provide a rider the confidence to go further. 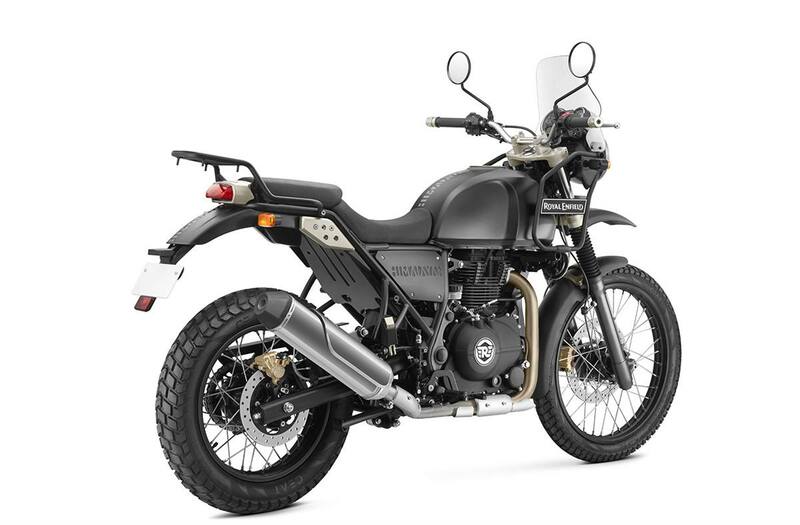 Massive 21’’ in the front provide the ability to roll over higher obstacles while the rear 17’’ wheel digs in for all the traction to enjoy any terrain a rider traverses. 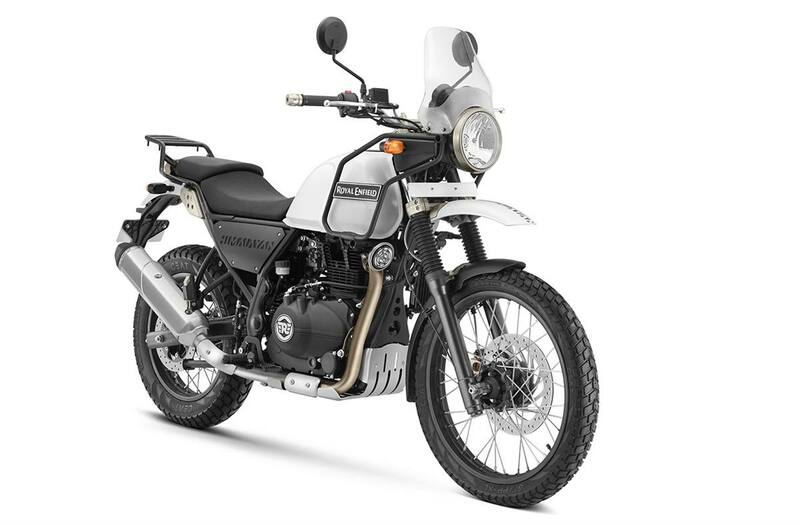 Ergonomics: The upright riding position of the Himalayan creates a comfortable rider interface ideal for extended rides. 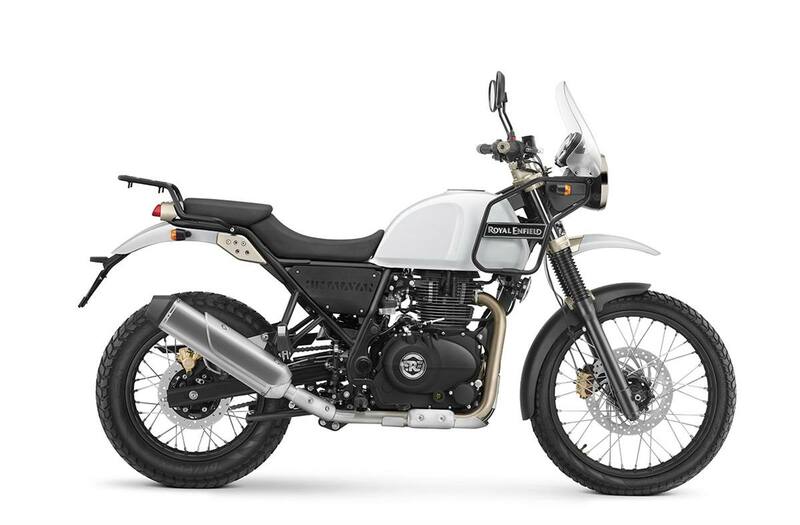 The optimized handlebar, seat and footpeg positioning, along with a narrow fuel tank, allow you to swiftly switch from sitting to a stand-and-ride position with ease whenever the terrain demands it. 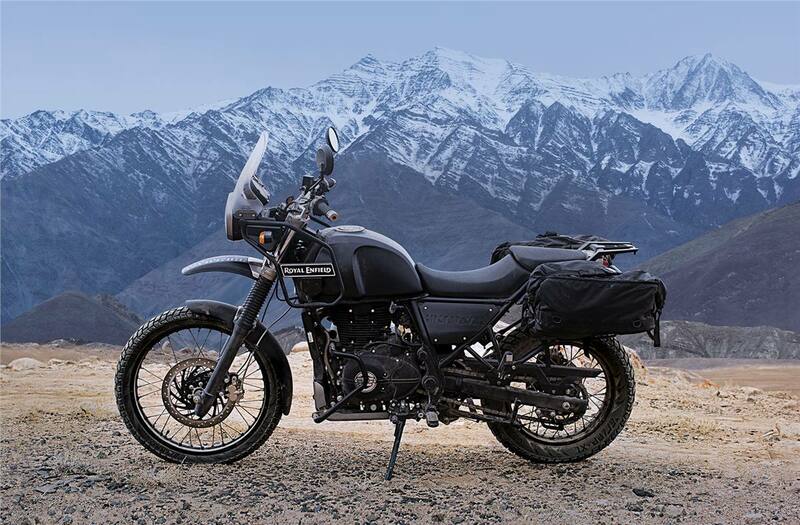 Luggage: The Himalayan is designed inherently with mounting points at the front and back that let a rider strap-up and set-off anytime. 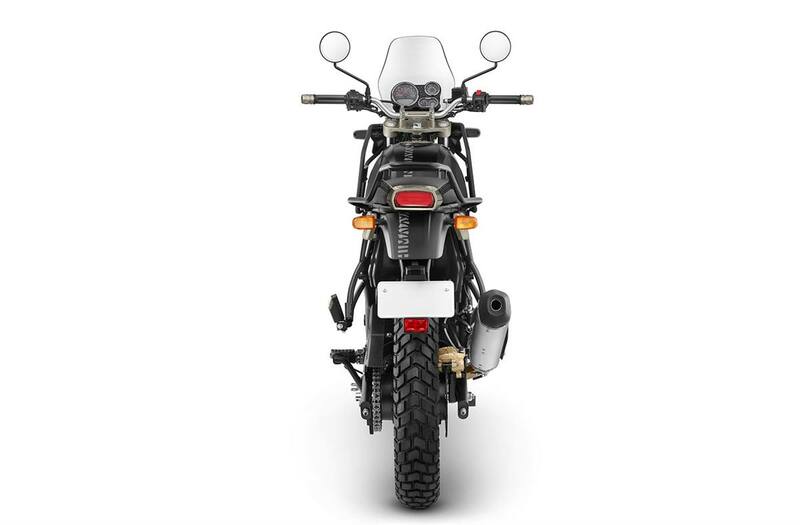 Higher Placed Headlamps: A high intensity headlamp placed high atop the fuel tank exoskeleton for superior spread and projection lights up every thing you need to see. 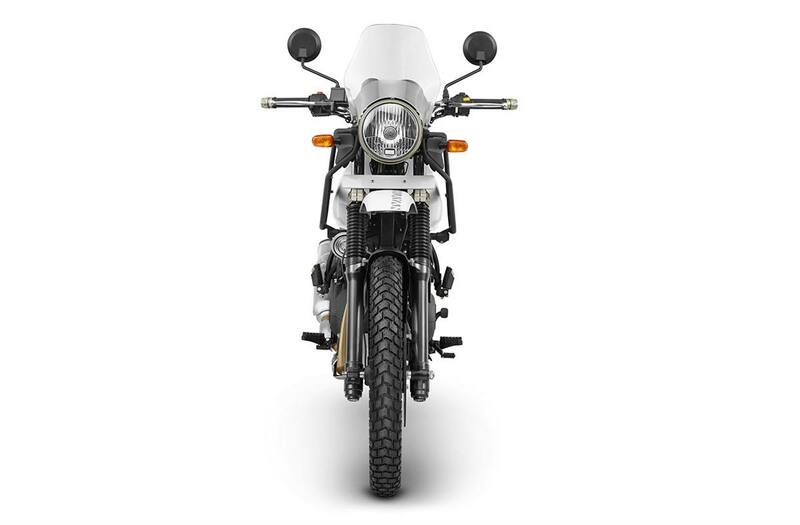 LS410 Single cylinder. 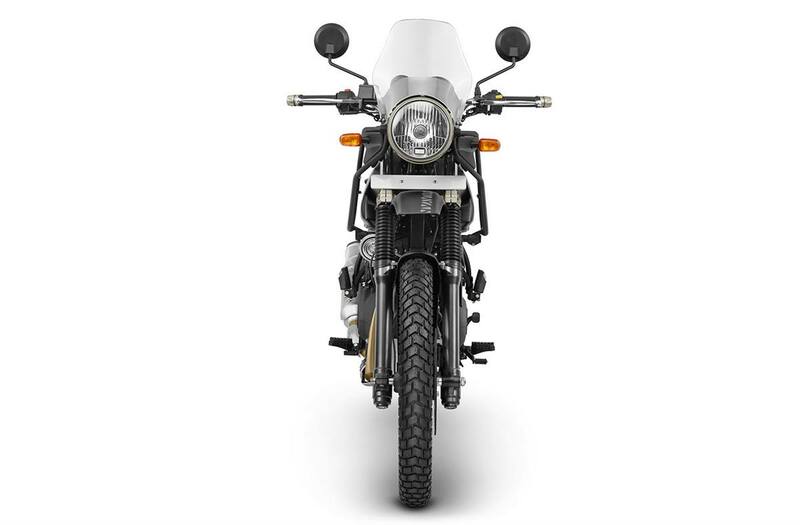 4-stroke. A strong low end torque to clear obstacles. 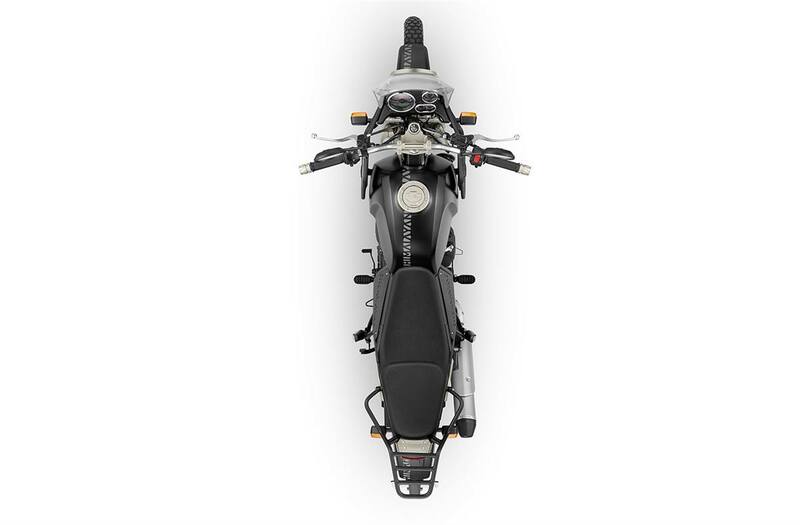 Wide useable power to suit all riding conditions. 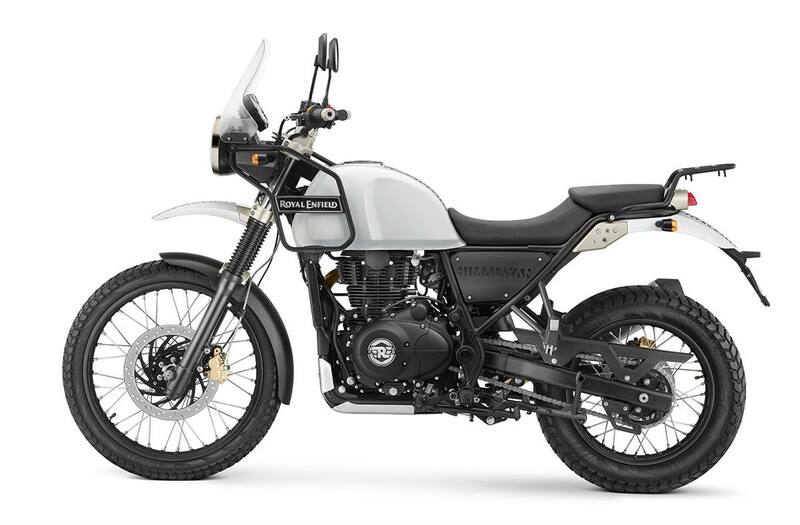 Long Stroke: True to Royal Enfield’s engine DNA, the longstroke LS410 delivers the key low-end torque, giving you usable power at lower RPMs for in-city conditions and all the pulling power required when you go off-road. 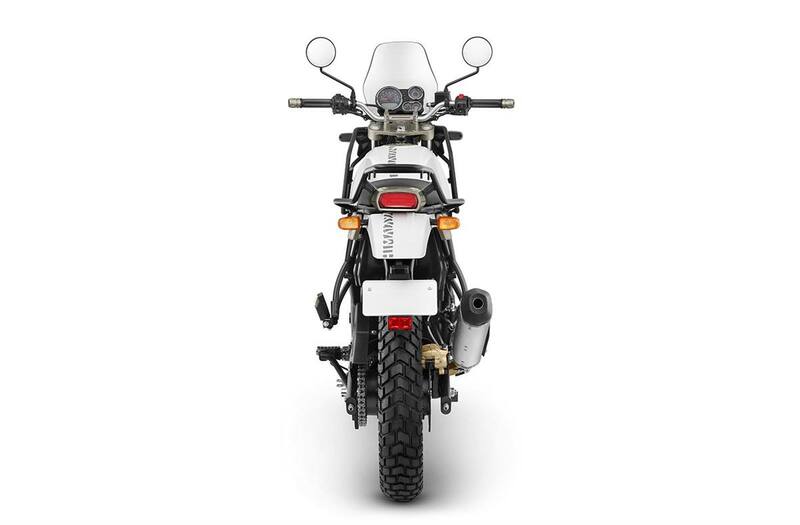 Overhead Cam: The engine has been designed keeping in mind real world riding. 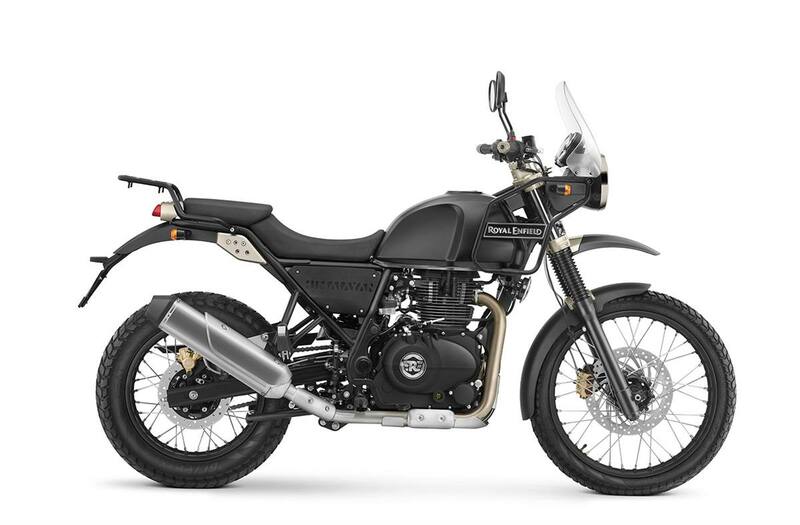 A healthy spread of torque across the RPM range will ensure the rider is not left hunting for drive—good low end and midrange torque to clear obstacles; and sufficient top end power for all-day highway cruising.